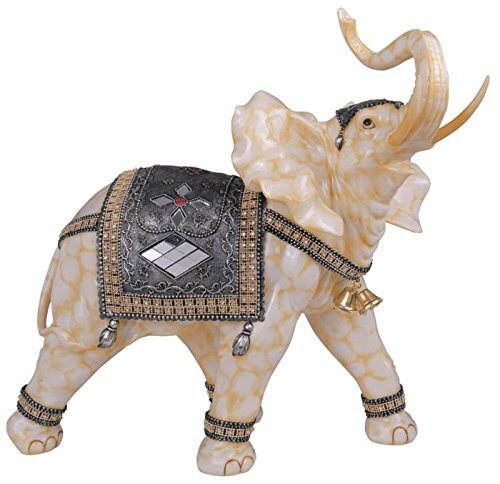 This gorgeous 18 inch marble cream toned Thai elephant figurine statue (right) has the finest details and highest quality you will find anywhere! 18 inch marble cream toned Thai elephant figurine statue (right) is truly remarkable. 18 inch marble cream toned Thai elephant figurine statue (right) details; condition: brand new; item SKU: ss-g-88061; dimensions: h: 18 x w: 19.25 X d: 9 (Inch); crafted with:.